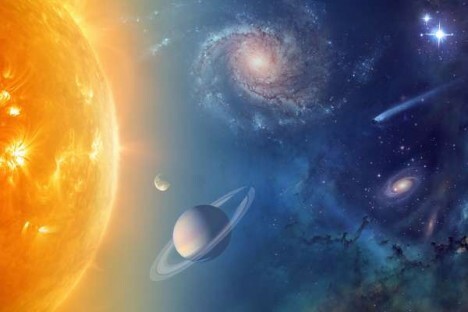 The idea of oceans on other celestial bodies orbiting our sun was once very much a thing of mystery, and a big deal in the case of Mars, but we have since discovered numerous surprising bodies of water on dwarf planets and planetary moons. Nor are extreme conditions necessarily life-prohibitive: “life, at least the simplest forms, may survive in more environments than once believed. Indeed, even on Earth, life is ubiquitous, from scalding volcanic vents to frozen wastes. And we may not, as it turns out, need to travel light years to find extraterrestrial oceans or observe our first alien life forms. The proverbial backyard may suffice.” Even at great distances from our planet, on cold spheres like Europa, liquid water can be found thanks to heat energy and friction. Whether we will find more than building blocks and elementary life within (or beyond) our star is hard to say, but news of known extraterrestrial life may indeed not be too far away.